...her soprano voice as smooth and rich as cream as she sings of her heartbreak while inside a snow globe or standing on the edge of a crumbling cliff. Consistently hailed as elegant and refined, Christie Conover’s rich, warm sound is complimented by a personal grace both on and off the stage. She fuses a dynamic voice with expressivity and dramatic sincerity, cultivating a unique, versatile talent. Described by the San Francisco Classical Voice as having a “well-focused instrument with a lovely timbre, perfect trill, and soaring top,” audiences and critics alike agree: Christie Conover is a standout. 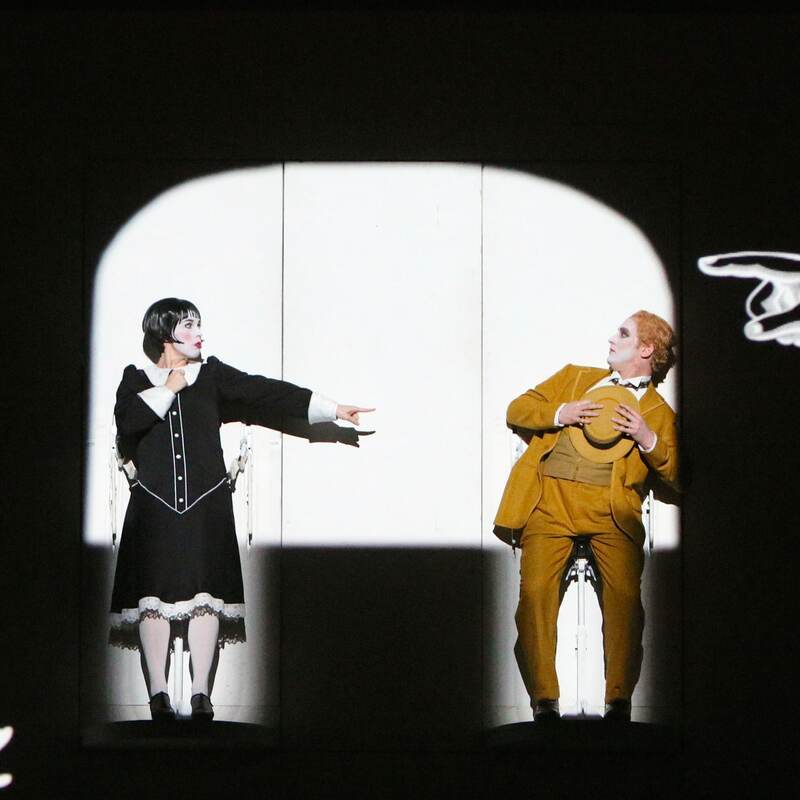 The 2015-2016 season marked the soprano’s international debut with the Komische Oper Berlin (China tour) as Pamina in Die Zauberflöte, a reprisal of her performance in the same production that garnered her critical acclaim at Minnesota Opera in 2015 and 2014. 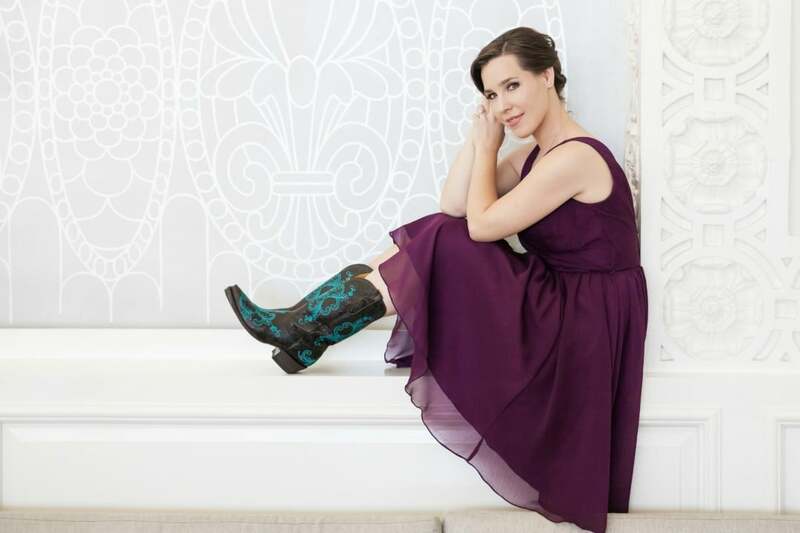 The current season will see her revisiting the role of Micaela in Carmen with the Billings Symphony Orchestra in addition to appearances with the Boulder Chamber Orchestra, the Littleton Symphony, the Dairy Center of the Performing Arts, and continuing the tour of her concept concert entitled Women of the West in Minnesota and Montana. For Minnesota Opera, she covered the role of Sister James in the world premiere of Doubt by Douglas Cuomo (2013) and portrayed the role of Jocelyn Jordan in the workshop of The Manchurian Candidate by Kevin Puts, which continued on to have its premiere there in 2015. Most recently she sang the world premier performance of scenes from The Origin by Bruce Adolphe in 2016. Previous seasons include performances as Musetta in La bohème for Minnesota Opera’s “Opera Under the Stars” summer concert series; Susanna in Le Nozze di Figaro and Juliette in Roméo et Juliette with Livermore Valley Opera; Abigail Williams in The Crucible with Rimrock Opera; Clorinda in Jean-Pierre Ponelle’s innovative production of La Cenerentola and an outreach tour as Gretel in Hansel and Gretel, both with Opera Colorado; Liù in Turandot and Anna in Nabucco with Minnesota Opera; and Micaëla in Carmen with Livermore Valley Opera and Opera Fort Collins. Additional roles performed include Madeline (Face on the Barroom Floor), Zerlina (Don Giovanni), Emily (Our Town), Josefina (Autumn Orchard), and the title role in The Cunning Little Vixen. She has also been a guest artist with Colorado Symphony Orchestra, the Colorado Music Festival, Bakken Trio (Minnesota) and the Helena Symphony (Montana), Marina del Rey Symphony, and a guest recital at the Chautauqua Institution (New York). A 2016 finalist of the Loren L. Zachary National Vocal Competition, Ms. Conover has placed consistently in competitions, including the National Federation of Music Clubs Young Artist Competition (2015 First Place Winner), the Grand Junction Symphony Young Artist Competition (2014 First Place Winner), the Irene Dalis Competition (2013 Second Place Winner and Audience Choice), The Metropolitan Opera National Council Auditions (2011 Rocky Mountain Region Third Place Winner and 2012 Finalist), and the Denver Lyric Opera Guild Competition (2010 First Place Winner). Her training includes the Minnesota Opera Resident Artist program (2012-14), the Aspen Music Festival Opera Theatre program (2011), and the Opera Colorado Young Artist program (2010-11).